Washington, D.C.- Earlier today, Al-Salam Hospital supported by the Syrian American Medical Society (SAMS) in Ma’arat al-Nu’man city in Idlib governorate was attacked by airstrikes, killing five people, including a newborn baby girl and her father, and injuring many more. It is the only maternity hospital in Ma’arat al-Nu’man city that serves a population of nearly 500,000. Dr. Bashar Yousef, the only pediatrician at the hospital, was injured in the attack. Dr. Yousef supervises the intensive care department, and the neonatal intensive care unit at the hospital. He has been working at the hospital since 2015. 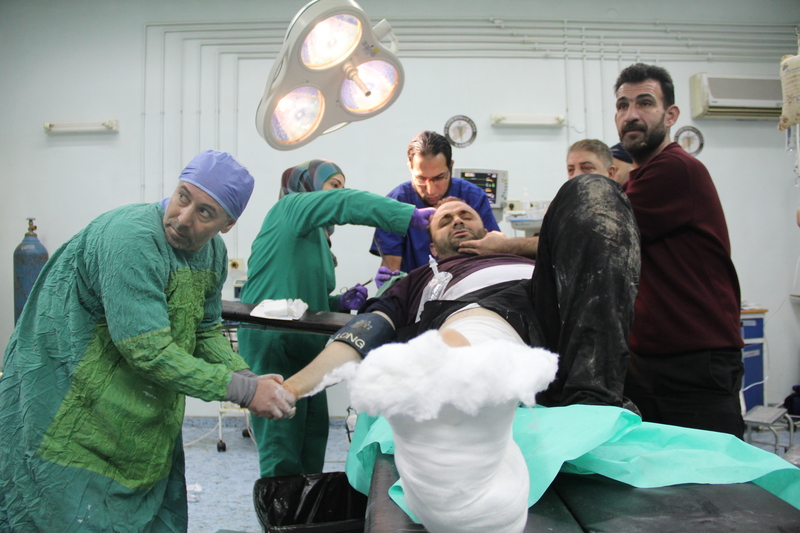 As a result of the heavy shelling, the hospital was severely damaged, forcing the facility to temporarily suspend its operations . Medical personnel and patients were immediately evacuated to a nearby hospital. The neonatal intensive care unit was damaged in the airstrike, forcing premature babies to be removed from their incubators and taken to a nearby hospital to receive their lifesaving treatment. 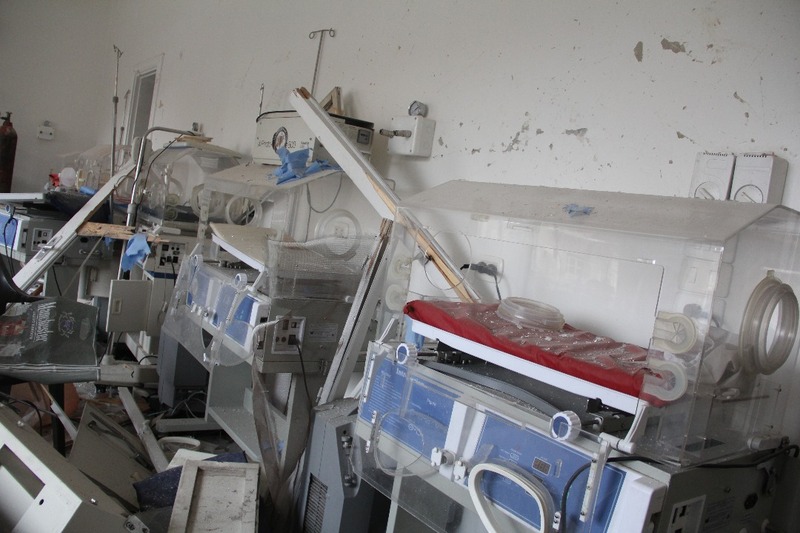 Throughout the conflict, maternity hospitals have been attacked relentlessly across Syria. The hospital – which has been attacked three times in four days, as recently as yesterday – provides specialized care, mainly pediatrics and OB/GYN services. The hospital treats approximately 8,000 to 9,000 patients per month. Last month, the hospital delivered 674 babies. Last month, Dr. Mohamad Al-Hosni, a Neonatologist and Associate Professor of Pediatrics at St. Louis University SOM and SAMS Board Member and Chair of the SAMS Neonatology Committee, visited Al-Salam Hospital. “Al-Salam Hospital is the only maternity hospital that serves the city of Ma’arat al-Nu’man and its surrounding areas. 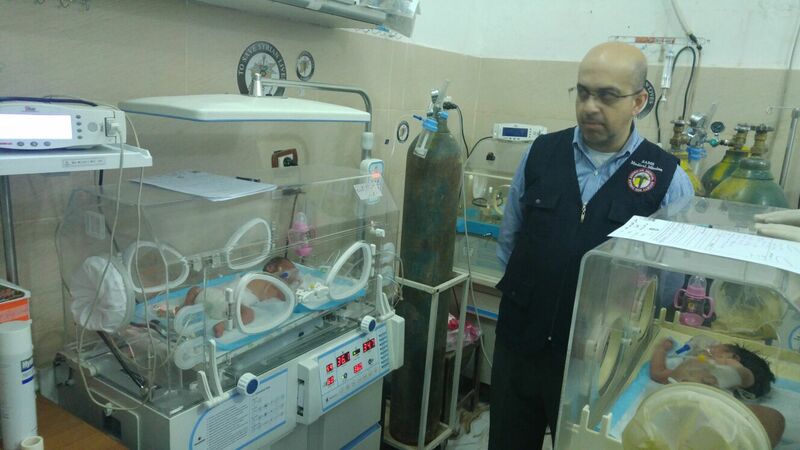 It also provides care to sick and premature babies and has a large incubator section.Targeting a hospital that only takes care of pregnant women and their babies with such brutality is a war crime and perpetrators need to be held accountable,” said Dr. Al-Hosni. 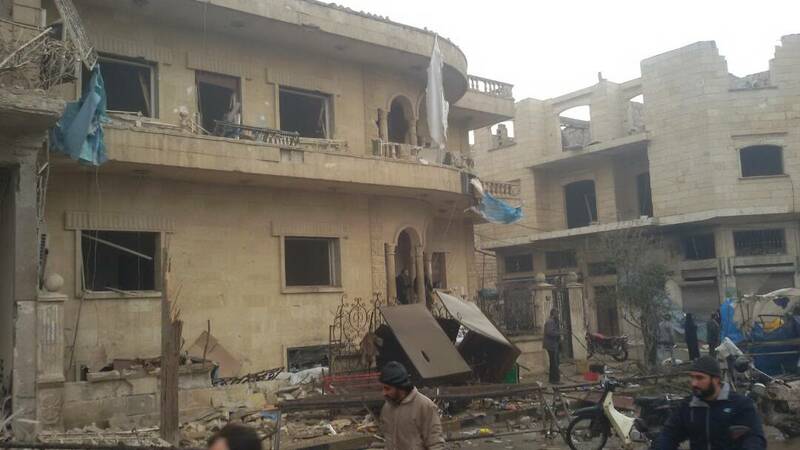 With the start of the new year, attacks on hospitals have intensified. Yesterday, January 2, 2018, a SAMS-supported cave hospital in Kafr Zeita was targeted by airstrikes. Luckily no casualties were reported. Although Idlib has been designated as one the “de-escalation” zones brokered by Iran, Turkey, and Russia to reduce violence in Syria, attacks on civilian infrastructure in the area have not only continued, but intensified, forcing thousands of residents to move from one location to another for safety. According to our staff on the ground, it has been reported that 12,524 families, around 62,620 people, nearly a quarter of which are children, have fled violence in their hometown of Idlib over the past few days. These indiscriminate aerial attacks on healthcare facilities and medical workers constitute grave violations of international humanitarian law. SAMS strongly condemns these attacks and calls on all parties to the conflict to halt attacks which threaten civilian populations and humanitarian work.